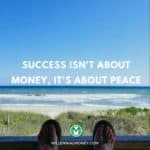 Most of the money and millionaire habits post I read are just too basic to be helpful. They are also impersonal because they are written by a journalist who has interviewed millionaires and curated some soundbites. These articles are chock full of “wake up early” “have a routine” “read more” “drink more water”. Sure, yes, who doesn’t want to drink more water? 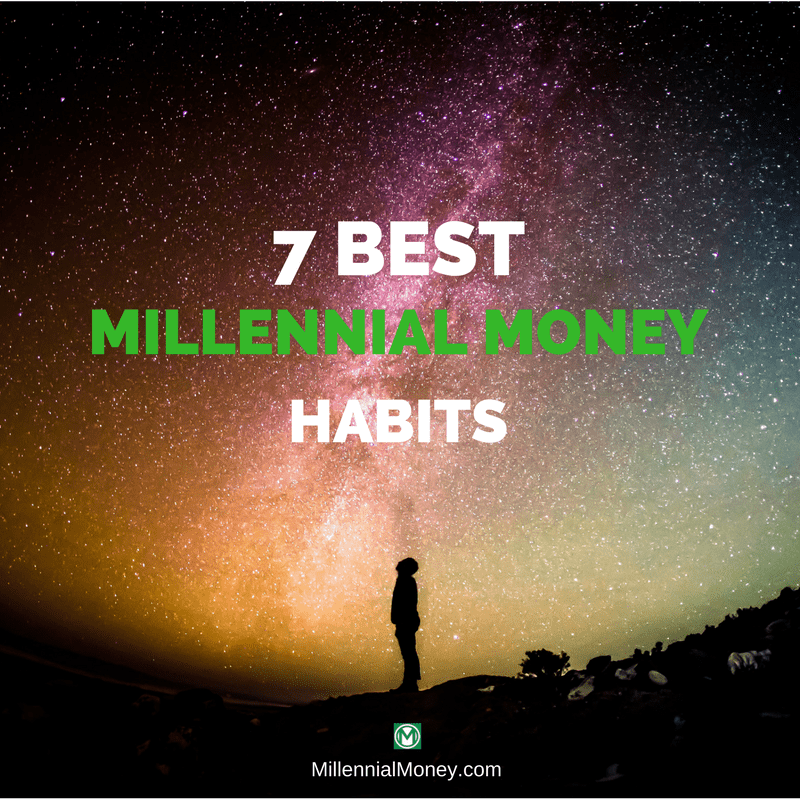 These are my personal habits that I credit with helping me become a millennial millionaire. Some of them are part of my nature and others I worked super hard to cultivate. Some of them, especially my social habits I’ve had to work extra hard to cultivate. I was diagnosed with a form of Aspergers in my early 20’s that has given me an advantage with numbers. I can remember numbers exceptionally well and can look at massive amounts of data and find connections easily. But it’s also made it more difficult for me to function in some social situations and I have challenges with empathy and making personal connections. It’s also made me a little different. I prefer eccentric. Anyone who has met me in person will tell you the same thing. I’m cool with it, though. I consider my weirdness one of my greatest assets. Here are some of my habits in the form of recommendations. They have helped me immensely. Life is short. Don’t waste time. Be yourself. People can see through an act. Be transparent and direct. Once I learned this I became a lot more successful. People don’t like being sold. They want to know who you are. So tell them. Show them. People connect with humans and vulnerability and authenticity form real connections. I used to think that I had to be completely buttoned up and polished, but I realized that just not who I am – so I dropped it and my success increased exponentially. Embrace your weirdness – it’s human. I also used to spend a ton of time strategizing how to communicate more effectively with people, but then learned that a vast majority of people simply appreciate transparent and direct communication. Don’t beat around the bush. Be straight. It builds credibility and you get things done a lot faster. Being direct and transparent set the tone for a relationship. In most cases, if you are transparent and direct, whoever you are communicating with will naturally respond the same way. Let’s get to the point. Once of the best pieces of sales advice I’ve ever received is to simply ask a potential client how interested they are in what I am offering. If they aren’t interested then I save a ton of time and if they are, then I can redirect the conversation to address more specific questions or concerns they may have. You’ve probably heard at least at some point that you are the average of the 5 closest people around you. I believe it. I once heard James Watson, who discovered DNA, speak when I was a kid and he said his one life lesson is to “always surround yourself with people smarter than you.” This stuck with me and has become somewhat of my own guiding principle, with a little bit of editing. I added in weird and successful to the mix too, because I thrive on diversity of perspective. From where I chose to go to college, to my friends, colleagues, and employees I have always strived to be around, ideally, a somewhat equal mixture of weird, successful, and people smarter than I am. Why? 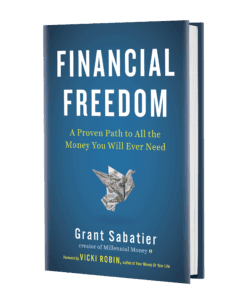 Because I learn a ton, it expands my worldview, it challenges me, AND….. did you actually know that you learn unconsciously and pick up the habits of those around you? This is why when you hang out with someone long enough you start to speak like them. Your mind is picking up their language and habits. So when you surround yourself with successful people, you literally start to think like them. This has been probably been my most valuable investing strength and I can’t even help it. Whenever I look at my investing accounts (which used to be daily, but now tends to be weekly) I get annoyed by the non-round numbers and ALWAYS have to deposit money to round them up. It depends on how I am feeling, but I typically round up to the hundred or thousands – always ending in a 0 of course! 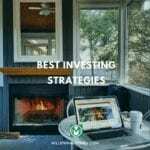 I have been doing this for years and one benefit is that I am always contributing to my investment accounts. But now because I know that if I look at my accounts I am going to want to round up, I look at my accounts less frequently. I’m like the OG manual Acorns app. You should try it whenever you log into you accounts. My life is broken up into 6-month phases, where I dive deep into a topic and learn literally everything that I can about it. This might have something to do with Aspergers? Either way, I have used it to my advantage to learn a ton about a ton. I’ve previously become obsessed with raw foodism, working on VW campers, fiction writing, record collecting, stock trading, language philosophy, ruby on rails, media theory, supply chain management, corporate accounting, competitive strategy, SEO, meditation, Yoga, and other topics. Most people read a book on a topic. I embody it. I read everything I can, books, forums, I test ideas out, I explore the foundational thinkers. This is how I learn. I strongly credit my diversity of learning with my success. I just know a lot and use the information for many things, including building companies, consulting, connecting with new people, and of course investing. I also thankfully have been able to take most of the best lessons I’ve learned from each phase and keep it in my life. This has also helped me see connections in seemingly unrelated things. I strongly recommend if you get into any topic, pursue it relentlessly. It doesn’t have to be for 6 months but read and study as much as you can about it. This isn’t that weird and I got it from Steve Jobs. Once I learned that he wore the same thing every day when I was 22 I started trying it. I loved it. Honestly, not having to think about what to wear every day saves me a ton of time and mental energy. It also gives me a uniform that people recognize and remember – this is a subtle advantage. My standard uniform is a Uniqlo black v-neck t-shirt, Levi’s 513’s, Hanes black socks, Timberland Pro Series Chelsea boots, and in the winter a Patagonia ultralight down jacket. I don’t wear button down shirt – only the V-neck tee with a suit. I own 3 suits. That’s it. Try wearing the same thing every day for a few weeks and see how you feel. There is a time for a strategy and a time for winging it. But almost everything you do in business or with money needs a strategy. Too many people try to wing it and then are surprised when they aren’t successful. Seriously, having a strategy significantly increases your chances of actually accomplishing what you want. But unfortunately, most people don’t understand strategy and misuse the term. It’s deceptively complex. The best definition of strategy I’ve read is: “A business strategy is a set of guiding principles that, when communicated and adopted in the organization, generates a desired pattern of decision making. A strategy is therefore about how people throughout the organization should make decisions and allocate resources in order accomplish key objectives” from Michael Watkins in this Harvard Business Review article on de-mystifying strategy. You should check it out. Learn more about how I build strategies in my “Are you an entrepreneur?” post. 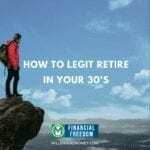 Check out the recent Millennial Money Minutes podcast episode on the topic of strategy and how I personally define it. Seriously. I’ve been so happy to see mediation growing in popularity. Meditation is real, powerful, and will change your life if you let it. Did you know that meditation has been scientifically proven to change your brain? I credit daily meditation as one of the reasons I became a millionaire. Self-awareness and reflection will make you a lot more successful and probably a lot more money. Here’s how. Once I started meditating I started to see connections across all areas of my life. This helped me to make more effective decisions about how I prioritize my time and energy. It also made me a better investor. I slowed down and felt less rushed into making decisions about money (except for the rounded numbers!). Meditation has helped me to slow down in general and more effectively focus on what needs to get done. It’s also a great stress reliever. As an entrepreneur juggling multiple businesses and traveling constantly, my daily meditation practice puts the world into perspective. And I can do it anywhere. It’s not uncommon for me to simply tune out the world and meditate at an airport, hotel, or anywhere I find myself. While I tend to meditate in the morning, I’ve more recently taken also meditating when I feel I need it. 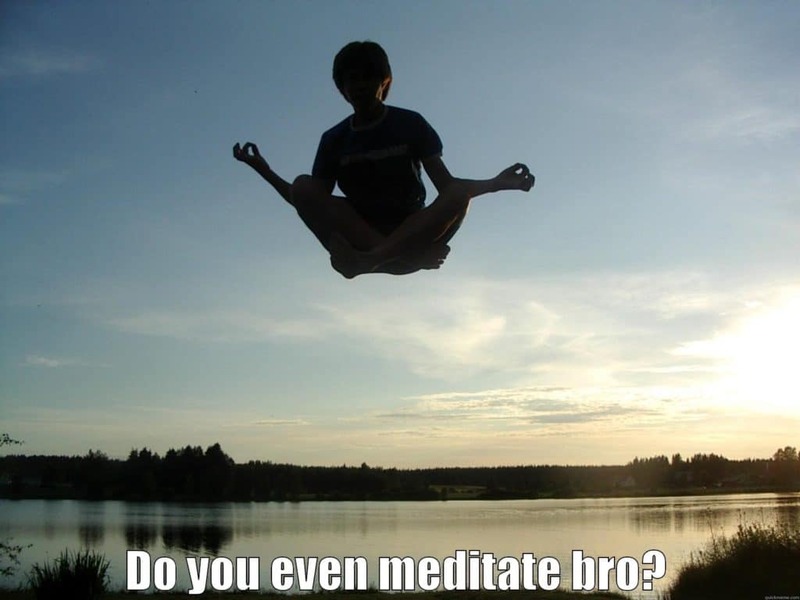 I also started blogging as a form of meditation, which is awesome and I am doing right now. Whether it’s a stressful day or a tough decision, meditation will help you. Simply try it and see what happens. You’ll be surprised. If you need some help the best website I’ve found for exploring meditation is Calm. I’m right there with you on #4. If you truly love to do something, why not dive into it for months at a time? Live it. Use that strategy to find what you truly love to do and double down on it. As an added bonus, I feel like I’m more creative and get inspired more often. Grinding your gears at work doesn’t always lead to moments of inspiration. On the other hand, when you put your mind into something else, you can find knowledge and creativity you never knew you had. Thanks Derek. To me it’s a paradox because information is so accessible online it’s both easier to dive into, but because it’s so accessible many people are less apt to do so. A lot of people just don’t explore ideas fully enough to truly learn them and rely on quick fixes. Lots to learn! Meditation has been great not only for my finances but for my development as a person. I would also add “make saving a priority.” It’s so easy to skip saving for retirement or for an emergency fund when you’re on a ramen-for-dinner kind of budget, but it’s worth it. Thanks Mrs. Picky Pincher. 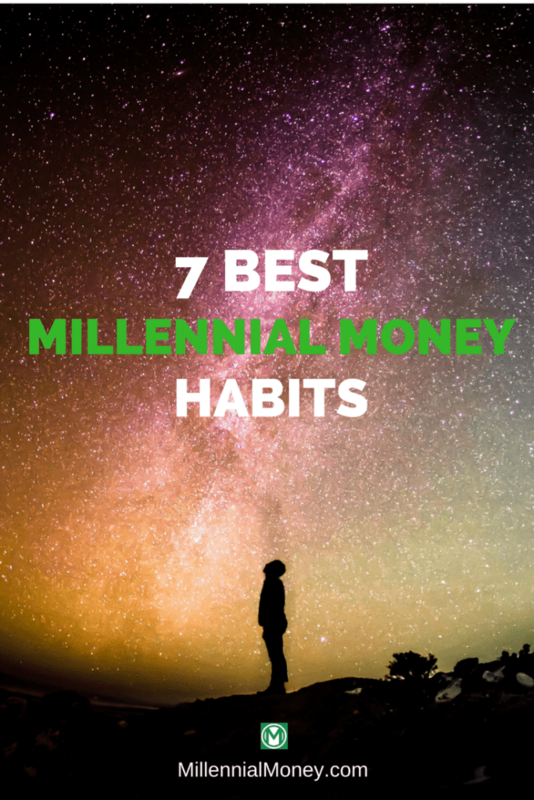 This post is meant to be a follow-up to http://millennialmoney.com/the-millennial-millionaire-strategy/ which includes save and invest as much as possible! I totally agree. Oh wow, I’m doing the #6 without even knowing about that. When I have an interest on something, I’m learning everything I can for in a couple month and can mostly be a subject expert on it most of the time. The worst that can happen to me is to have two subject at the same moment. Ha Ha. I agree two topics at once is tough!! Thanks Financial Tech. I started meditating and it’s helped relieve the stress and anxiety I have. I noticed some schools started implementing meditation, which is amazing! #4 is a character trait I share with you, but I’m not sure it’s always the best! Laser focus on one thing can be a bit of a turn-off to those around you who don’t really have the same energy for that one thing. That said, wearing the same thing every day has pretty much the same effect and I still do that to the fullest extent I can! And both, to me, have benefits that far outweigh the costs! Thanks Vigilante for the kind words! Nice!! We are not alone! It’s totally a little OCD, but definitely beneficial for investing. I don’t have a problem with the radio, but when it comes to money I am 0 all the way. As a Businessman, I’m doing No.6 without knowing. Thanks for pointing out always I used to monitor my company decision makings. I think lot of my friends need your article its worth able to share.